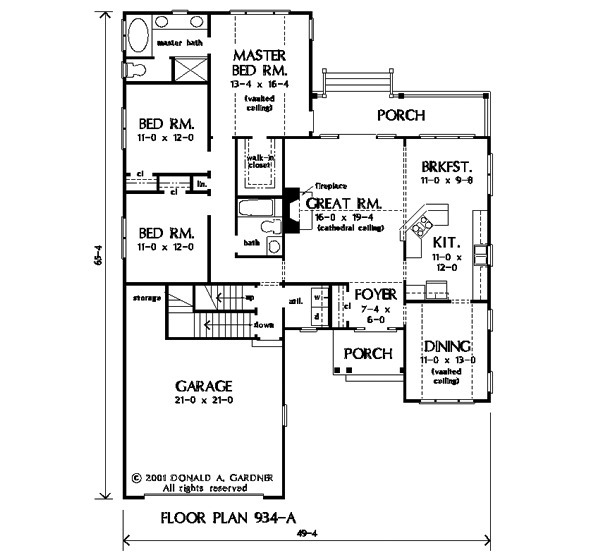 A handsome gabled exterior and columned entry add style to this efficient narrow-lot plan. An angled island and serving area provide easy access to the cathedral-ceilinged great room, breakfast and dining rooms, and make the kitchen the hub of this home. 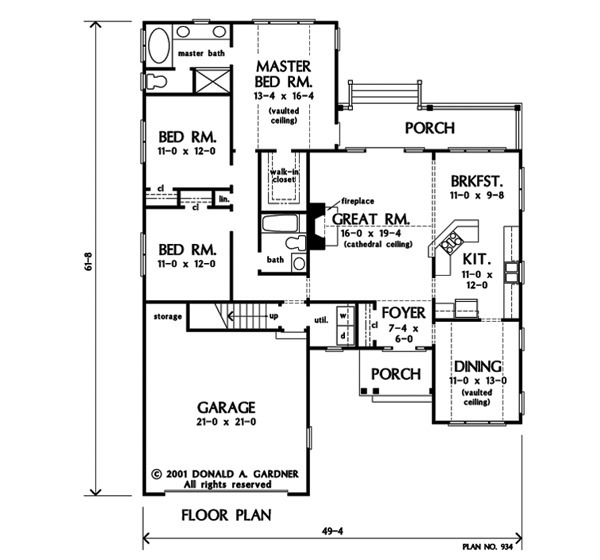 The bedroom wing is tucked privately behind the garage, and the roomy master suite has access to the rear porch. 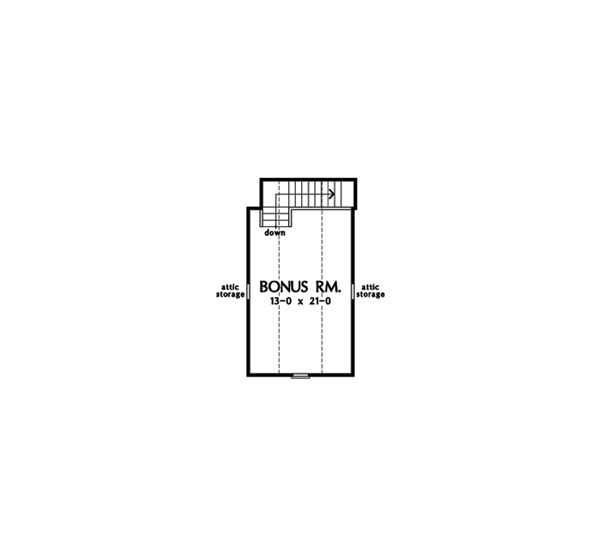 Above the garage, a large bonus room offers expansion or media room potential. 1st Floor: 1703 Sq. Ft.
House Dimensions: 49' 4" x 61' 8"
Foyer : 7' 4" x 5' 10" x 9' 0"
Dining Room (Vaulted): 11' 0" x 13' 0" x 11' 9"
Great Room (Cathedral): 16' 0" x 19' 4" x 19' 2"
Breakfast Room : 11' 0" x 9' 8" x 9' 0"
Garage Storage : 5' 4" x 3' 8" x 0' 0"
Master Bedroom (Vaulted): 13' 4" x 16' 4" x 13' 0"
Porch - Rear : 24' 0" x 6' 0" x 0' 0"